Emily Post wrote a chapter in her 1922 book Etiquette on how to have "The Well Appointed House." Today, The Well Appointed House is a modern day version of that vision. Luxuries for the Home...for everyone and in every price range. Come inside and join us! 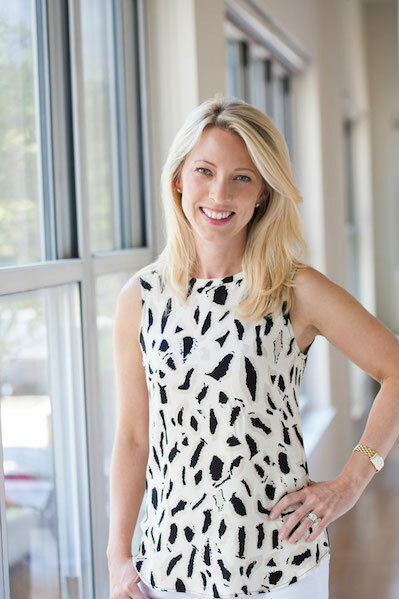 The Well Appointed House, LLC is a Greenwich, Connecticut based company that was founded in 2001 by Melissa Hawks while she was working as a young, advertising executive in New York City. She wanted to bring the unique home décor finds that were readily accessible to the urban market in Manhattan to a more widespread audience on the Internet and hence, The Well Appointed House was born. It was one of the first e-commerce destinations for home decor enthusiasts, pre-dating the now cluttered online shopping space and a true original with its inception long before the "flash sale" era that has come and gone. The company's e-commerce platform runs under the brand URLs www.wellappointedhouse.com, www.thewellappointedhouse.com and www.wellappointedhome.com. The website has grown over the last fifteen years to include more than 9,500 items. Through her loyal customers, followers on Facebook, Twitter, Instagram and blog, her brand has become about a lifestyle: having a well appointed house and home – essentially, having a Well Appointed Life™. The company logo embodies the brand: Hortus (Garden), Domus (House/Home) and Familia (Family). The Well Appointed House has received press in the national media over the years, including The Wall Street Journal, USA Today, on CNBC and in magazines such as In Style, Blueprint Magazine, Domino, Harper’s Bazaar, House and Garden, Good Housekeeping, HGTV Magazine, O Magazine, Serendipity, Greenwich Magazine, Vanity Fair, Vogue and others. Melissa Hawks graced the cover of the December 2015 issue of Greenwich Magazine and was featured in 2015 as an "A-List Blogger" in Real Simple Magazine. The Well Appointed House, LLC is a premiere source for many of the country’s top designers. The Well Appointed House sells to A-list celebrities, Oscar winners and even some European royalty! Our selection of products combines classic furniture designs of the past with fresh and lively accents. Whether searching for a hand-painted demilune, a pair of polished nickel sconces or even a silk flower arrangement to complete a room, you can find it here! By browsing the various categories of The Well Appointed House, you may find yourself thinking of new ways to refresh existing rooms by simply adding two or three new accessories. Shop online 24-hours a day! Our team operates in Greenwich, CT and we can see clients by appointment at 230 Park Avenue in NYC. Contact us to request an appointment if you need help selecting furniture items!